If you have never been part of a benefit ride you should know at least this. Bikers PAY to ride. Something they could do for free. But they choose to pay to ride ,the fee can be anywhere between $10 to $20 or $30 per person. Not only do they pay to ride, they usually drop a lot of cash for the extras. Raffles, 50/50, and silent auction. When you see a group ride by, they are probably riding for charity! Instead of getting upset because they blocked traffic or caused you a slight delay, please remember this. They are very generous people. Give them space and your patience. It sometimes helps to have a little reminder about things. So please be patient and smile when you see them because they are doing something good for someone you may know, or a good cause. Please feel free to copy and share with friends. Angels doesn’t look pretty, you might say about these tattooed bikers. However, they saved countless animal lives all over the country. 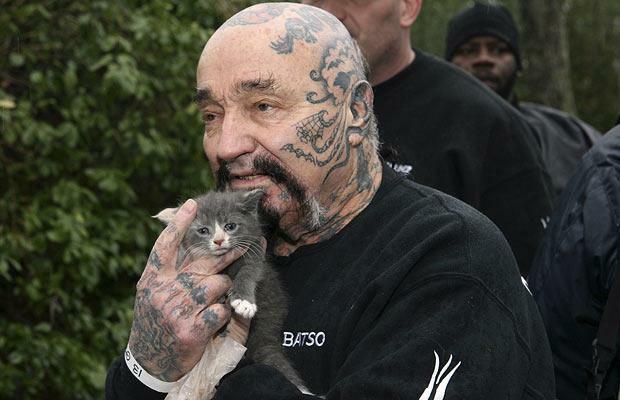 They even set up an organization, Rescue Ink, and their main goal is to save as many animals as possible. They investigate cases of animal abuse, save pets from their violent owners and help the animals to find new homes. 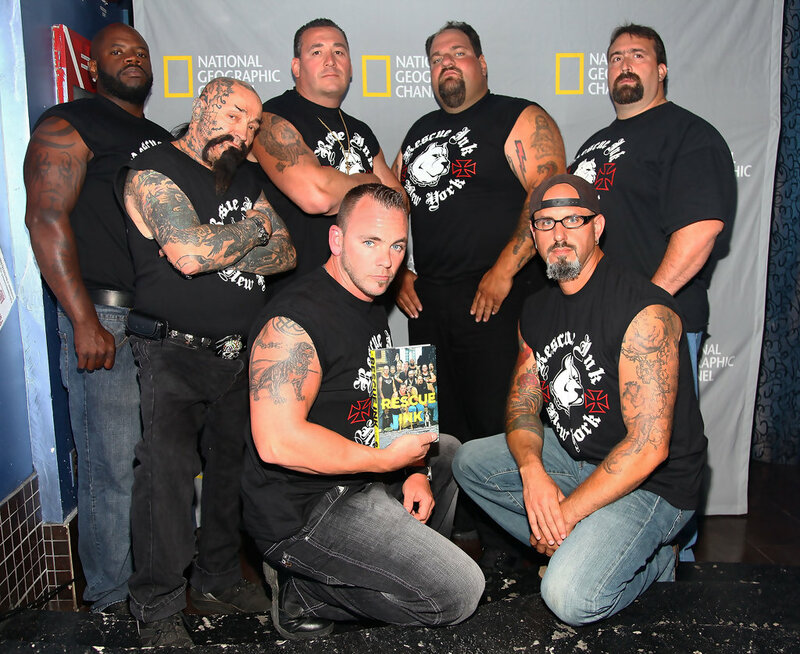 Rescue Ink is a non-profit organization who fights for animal rights. All volunteers, the team members are bikers, bodybuilders, former military personnel, police detectives, and even lawyers. “Some people like to think of us as superheroes. The truth is, we are super animal lovers. Through the years, and through many caseloads, obstacles, and downright challenges, we remain strong and dedicated to our mission,” they said. They made agreements with animal shelters and public organization and they cooperated with the authorities to reduce and even stop animal abuse. Regular people and even famous artists joined their cause. So far, these kind people managed to offer a much better life for a lot of animals, as dogs, cats, horses, pigs and even fish. And when those heros don’t save animals, they’re teaching children to be kind and lovely with animals. They actually try to prove and to teach everyone that animal abuse is so wrong. “Let’s just say an official goes to an abuser’s house, he pulls up in a cop car and, immediately the abuser knows the cop’s limitations, he has certain boundaries. But when we pull up, they don’t know what we’re going to do, they don’t know what we’re capable of doing. So it helps out big time,” teh team said in an interview with People. These guys are real heros! 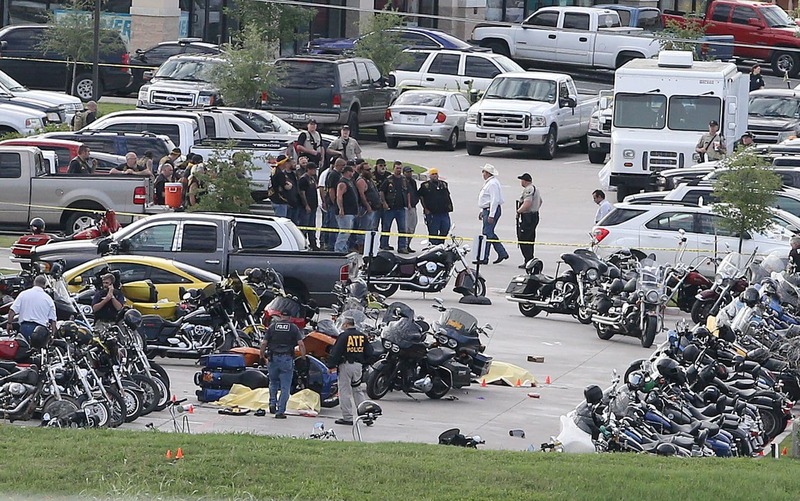 No one will be convicted for the 2015 shootout between rival biker gangs in Waco restaurant parking lot that left nine people dead and at least 20 injured, prosecutors in Texas said Tuesday. ‘In my opinion, had this action been taken in a timely manner, it would have, and should have, resulted in numerous convictions and prison sentences against many of those who participated in the Twin Peaks brawl,’ Johnson said. 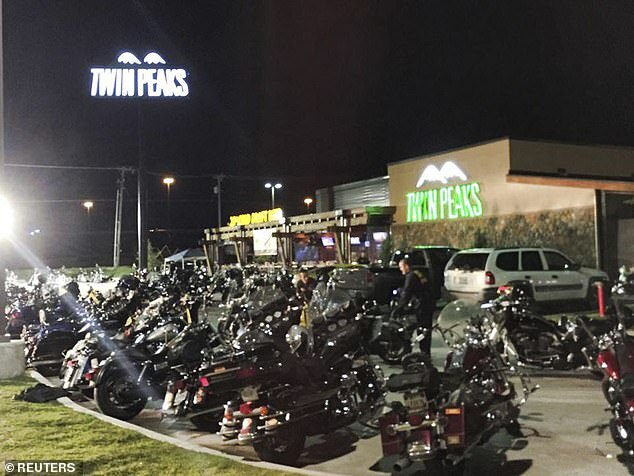 The shooting outside a Twin Peaks restaurant in Waco on May 17, 2015, involved rival biker gangs, the Bandidos and Cossacks, and occurred as bikers from various groups were gathering to talk over matters of concern. Fights and gunfire broke out. Waco police officers monitoring the gathering also fired on the bikers, killing at least two. Surveillance footage showed many bikers running from the scene and ducking for cover after gunshots rang out. A smaller number could be seen pointing and firing weapons, slinging a chain or participating in fistfights. Law enforcement officers recovered dozens of firearms, knives and other weapons from the restaurant and adjacent parking lot, many of which officers organized indiscriminately into piles on the pavement and in the back of a police vehicle, dash-cam video showed. With Democrats now the majority party in the House of Representatives, they control the committee chairmanships and thus control the agenda for each committee. The House Energy and Commerce Committee, who has jurisdiction over autonomous vehicle technology, is now chaired by Frank Pallone of New Jersey. This puts Republicans in a role they not been in since 2010, seeking the help of Democrats to tackle legislative priorities. Republican Greg Walden of Oregon, the previous chairman and now ranking member as well as Congresswoman McMorris Rodgers of Washington and Bob Latta of Ohio sent Chairman Pallone a letter regarding the need for Congress to act on autonomous vehicles legislation. “We write to urge the Energy and Commerce Committee to take up bipartisan self-driving vehicle legislation. Last Congress this Committee worked across party lines to draft H.R. 3388, the Safely Ensuring Lives Future Deployment and Research in Vehicle Evolution Act (SELF DRIVE Act). The SELF DRIVE Act was an example of this Committee at its very best: working together, across the aisle, to develop legislation that will advance lifesaving technology. As a result of our deliberative, transparent, and bipartisan process, the Committee voted unanimously, 54 yeas and 0 nays, to report the SELF-DRIVE Act to the House floor where it again passed unanimously. Unfortunately, the Senate failed to act on the bill,” Walden, Latta, and Rodgers wrote. The MRF has and continues to educate members about the safety concerns for motorcyclists and autonomous vehicles. We believe that any bill dealing with autonomous vehicle technology should include provisions that ensure the safety of roadways users including motorcyclists. We will keep you updated on any movement of legislation related to this emerging technology. The current transportation bill, which funds federal surface transportation programs, expires in September of 2020. The previous bill known as the FAST Act provided $281 billion for transportation projects. The Transportation Committee and specifically the Highways Subcommittee has begun the process of drafting the reauthorization bill. “First, the Highway Trust Fund is not able to meet our surface transportation needs as they stand today, let alone our future needs. Congress and the Administration must come together and find a way to shore-up the Highway Trust Fund, providing sustainable funding for our Nation’s surface transportation programs. Second, while our current surface transportation system has significant needs, we must also begin to prepare for the future. Underinvestment has taken its toll on the system’s ability to move people and freight – we face increasing congestion, delays, and safety issues. Not only is adequate infrastructure investment important to mobility, it also creates jobs and allows our economy to prosper. Third, as the reauthorization process moves forward, it is essential that we find ways to build more efficiently – to stretch the federal dollar. We need to identify and attack hidden project costs by streamlining the project delivery process and reducing burdensome regulations. The MRF has a meeting scheduled with Congressman Davis in early April to discuss transportation-related issues and ensure that the motorcycle community is not overlooked when Congress addresses transportation issues. We will update you about our conversations in the coming weeks. This month the House Motorcycle Caucus updated its website for the 116th Congress. One addition of note is the inclusion of the Motorcycle Riders Foundation to the list of “related organizations”. Previously only the American Motorcycle Association and Motorcycle Industry Council were listed in this section of the website. While not earth-shattering news, this small addition to the website is a simple example of how the MRF continues to raise our profile on Capitol Hill. If you haven’t visited the House Motorcycle Caucus website, we encourage you to take a few seconds and look around. The 11th Annual Bikers Inside the Beltway is scheduled for Tuesday, May 21st. Schedule too jammed to attend Bikers inside the Beltway? Please go to www.mrfae.org to make a tax-deductible contribution of $10, $20, $50, or $100 to raise funds needed to offset the administrative and printing costs of sponsoring BITB 2019. Motorcycle Riders Foundation Awareness & Education, Inc. (MRFA&E) is a not for profit 501 (c) 3 and sponsors BITB with an awareness presentation to members of Congress. Your support of BITB is greatly appreciated! The efforts to promote and protect the rights of motorcyclists could not be done without members such as yourself. 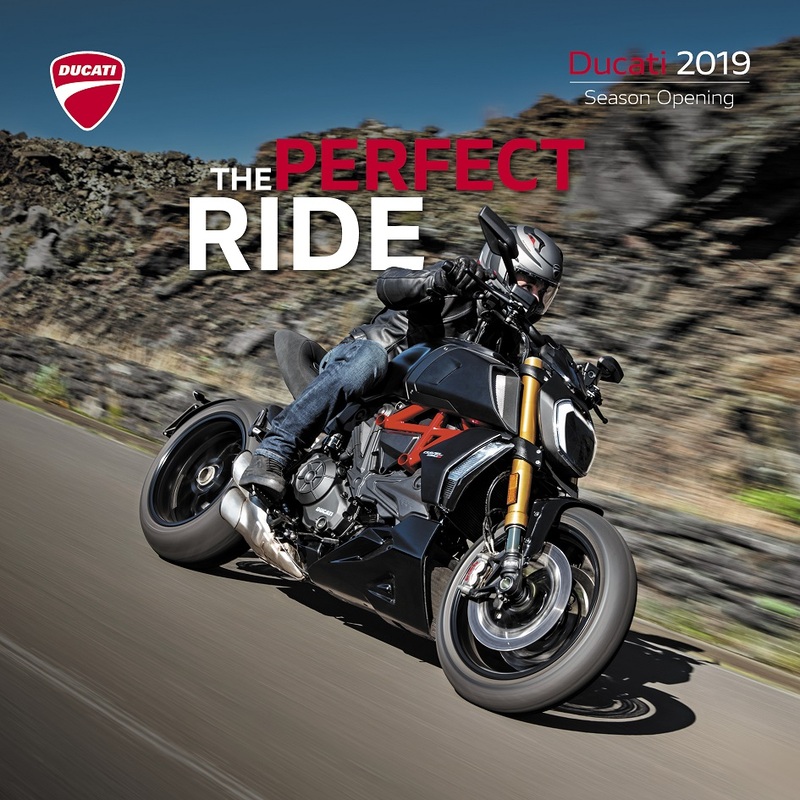 Mountain View, Calif. (February 22, 2019) – Ducati North America is celebrating the warm riding weather just around the bend by bringing its national Season Opening to participating dealerships March 22 – 24. The annual event offers Ducati owners and new fans their first opportunity to experience the Italian brand’s new line of motorcycles in person, which includes 10 new models for 2019, built for every riding level and encompassing all the Ducati worlds, ranging from Racetrack, Travel, Lifestyle and Scrambler, to Sport & Fun. One relevant addition to the 2019 Ducati stable is the all-new Diavel 1260, the first significantly new Diavel since its debut in 2010, with a new 1262 cc engine and muscular styling – making it a completely new motorcycle. It’s perfect for experiencing summer winds along the coast, refreshing spring breezes down winding mountain roads or cruising with style down the backroads of America. Power and technology mix in the new Diavel 1260 to create the most advanced Diavel to date and, with low monthly payments, financing for the Diavel 1260 can be priced starting as low as $265.95 per month. Also, existing 2018 models can be available with APR as low as 0% through Ducati Premier Financing, or with special offers on Ducati Apparel and Ducati Accessories. For more information, clients should contact their nearest Ducati dealership. Scrambler Icon [As Low As $118.17 Per Month] – The Scrambler brand was launched in 2014 and has become Ducati’s best-selling model by volume. For 2019, the new Scrambler Icon continues this vintage-inspired-joy of a motorcycle with important technological updates in the world of safety, including Bosch Cornering ABS. Visually, the new motorcycle continues retro-inspired style with new, beefier side panels to match the steel of the teardrop tank and the glass of the headlight. A black-painted engine, brushed cylinder head fins and machine-finished rims give the new Ducati Scrambler Icon even more eye-catching panache. Scrambler Full Throttle [As Low As $136.73 Per Month] – The new 2019 Full Throttle takes its cue from the flat track Scrambler ridden by Californian racer Frankie Garcia in the 2018 American Super Hooligan Championship. With its two-tone black-yellow, white-striped tank, all-new rear end with dedicated seat and white-rimmed yellow number holders, this bike has a real dirt track competition feel. A low-slung tapered handlebar – light and ergonomic – stubby front mudguard and dual-silencer exhaust add to the distinctiveness of the Scrambler Full Throttle. Scrambler Desert Sled [As Low As $148.33 Per Month] – For 2019, the Scrambler Desert Sled rekindles the spirit of classic American off-road bikes without compromising the Ducati Scrambler lifestyle. With its red frame, new seat with color-coordinated stitching and spoked wheels with black rims, it exudes off-road fun. The new Desert Sled also features an Off-Road Riding Mode that allows ABS disengagement for down-in-the-dirt joy. A dedicated riding position and adjustable Kayaba suspension also ramp up the fun factor. Rugged off-road character oozes from the type-approved headlight mesh guard, high mudguards (specially designed for this version) and engine skid pan. Scrambler Café Racer [As Low As $148.33 Per Month] – The new 2019 Scrambler Café Racer draws its inspiration, and its Silver Ice Matte graphics with blue frame, from the legendary Ducati 125GP Desmo. The new 17″ spoked wheels and aluminum bar-end mirrors give the bike a cool 1960s race look, while a modern radial front brake pump provides braking performance on a par with that of a sport bike. It’s a rare Ducati in blue – one surely to catch the eyes of everyone on the streets. Hypermotard 950 [As Low As $180.24 Per Month] – With new sharper angles and a lighter weight, the adrenaline-packed Hypermotard takes its look from the supermotard race world and for 2019 comes with completely overhauled ergonomics and an ultra-advanced chassis set-up and electronics package. A full 8 lbs. lighter than the previous model, the Hypermotard mounts a renewed 937 cc Testastretta 11° engine with a more muscular 114 hp. Hypermotard 950 SP [As Low As $223.73 Per Month] – The spirited and higher-performing Hypermotard SP also on display is Ducati’s offer for those looking for Hooligan-style excitement, featuring a flat seat, increased-travel Öhlins suspension, Marchesini forged wheels and Ducati Quick Shift (DQS) Up and Down EVO, as well as Carbon Fiber components such as front mud guard and timing belt covers. Diavel 1260 [As Low As $265.95 Per Month] – Unconventional, unique and unmistakable, the second-generation Diavel 1260 remains faithful to the original spirit of this incredibly special bike, drawing on its key styling elements and putting a decidedly more contemporary slant on it. Its Testastretta DVT 1262 engine is capable of delivering 159 horsepower at 9,500 rpm. The bike also includes an upgraded chassis to make it more responsive on mixed-road routes. The S version on display also features fully adjustable Öhlins suspension, dedicated wheels, and an even higher-performance braking system, with Ducati Quick Shift up & down Evo (DQS) as standard to allow clutchless shifting. XDiavel (Matte Liquid Concrete Grey) [As Low As $276.18 Per Month] – New for 2019, the XDiavel – famous for representing the best parts of the Ducati performance world and the relaxed cruiser world – now comes available in an uncompromising new color palette, the stunning Matte Liquid Concrete Grey. The finish and style express the motorcycle’s edgy spirit and take the XDiavel’s strong look to new levels. Multistrada 1260 Enduro [As Low As $322.23 Per Month] – The Multistrada 1260 Enduro is the new generation of the off-road member of the Multistrada family. It has an increased engine size with the 1262 cc Testastretta DVT engine pushing out 158 horsepower, which is an increase from 152 horsepower from the previous Multistrada 1200 Enduro. Panigale V4 R [As Low As $521.85 Per Month] – The Panigale V4 R features technology taken from MotoGP racing and is a racing bike that can be enjoyed on the streets. Following Ducati’s first mass-production four-cylinder engine, the V4, debut in 2017, the V4 R is now the pinnacle of the new Panigale V4 family and can claim the title as the ultimate road-legal Ducati competition bike. This is the most powerful, high-performance factory bike ever built by Ducati, with new technology like carbon fiber aerofoils that increase stability and allow for reduced reliance on electronic controls. Motorcycles are fun. And so is travelling long distances or touring on motorcycles. Many touring options are available for big bikes with big budgets. But suppose you are young and wild and free but on a limited budget, what do you do? 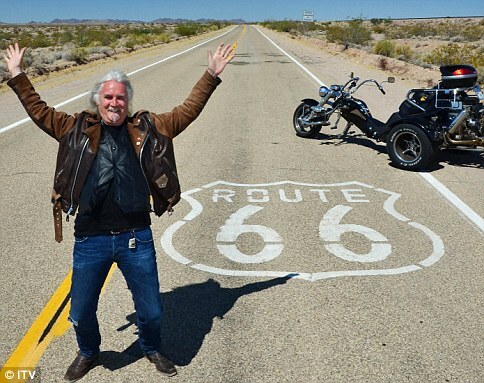 Ask your friends and they will say a car trip ain’t as much fun as being one with the road on a motorcycle. The environment, the atmosphere, the surroundings, it all hugs you, body and soul, when you tour on a motorcycle. 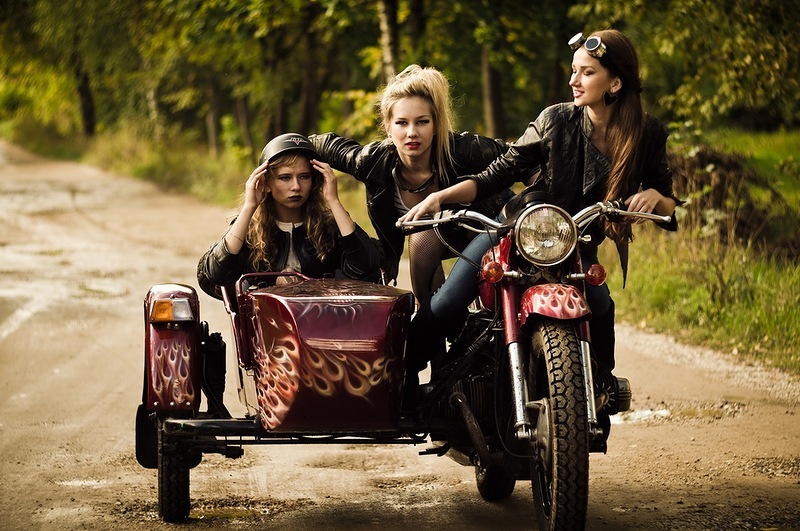 So, here is an option hippies globally celebrate–Sidecars. A third wheel for your motorcycle. No more slippery roads for your two-wheeler. More luggage space. Bring more friends to the road trip party. Bring your dog too. We recently covered the Ural Motorcycles phenomenon on www.BikernetTrikes.com and if that has inspired you but you are not sure about buying a whole Ural, well just buy a sidecar then. There are many companies including Ural itself, which sells Sidecars as an accessory for your existing motorcycle. 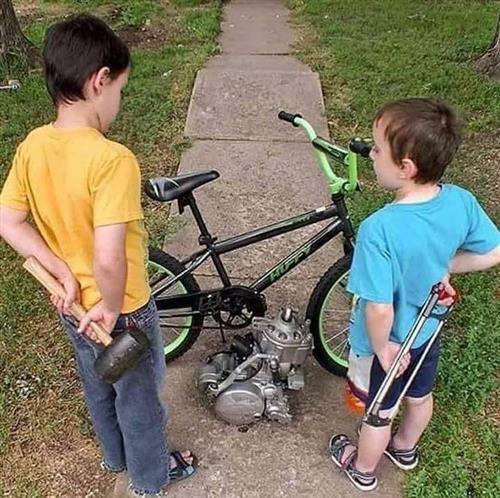 So no, you don’t have to switch loyalty or buy a new bike. Just buy the goodies to attach a sidecar to your Harley-Davidson or Triumph or Indian.